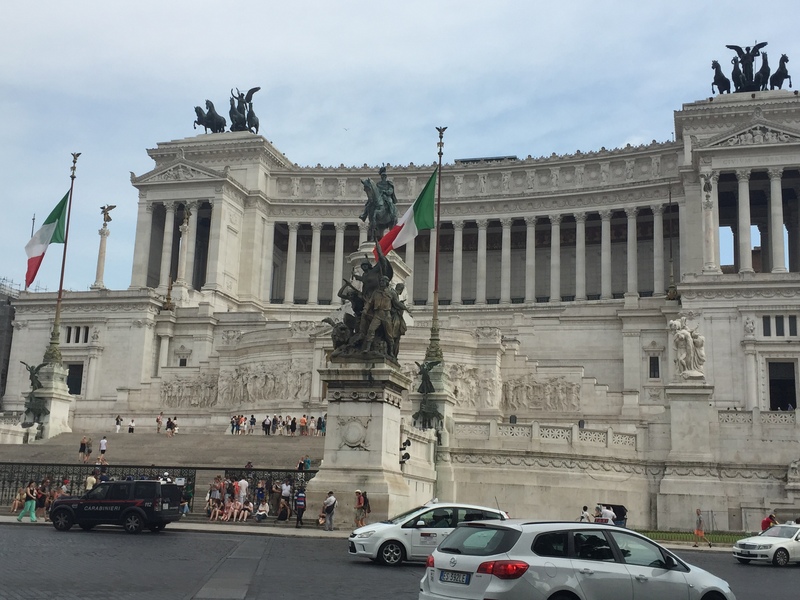 Today we had decided to visit Capitoline Hill to see the Altare della Patria, a monument dedicated the the first king of Italy Victor Emmanuel. 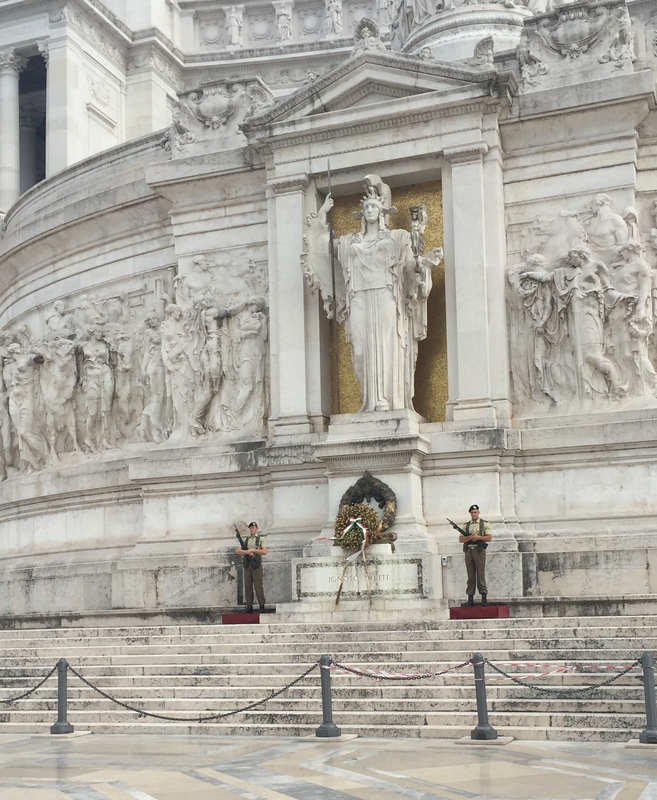 Walking up the marble staircase past columns and fountains it felt like a palace and sitting right at the top in the centre is a tomb of an unknown solider ,this was built under the statue of goddess Roma just after WW1 and it is closely guarded by two military soldiers. Walking inside we entered the Roman Military Museum filled with accent tanks and armour. 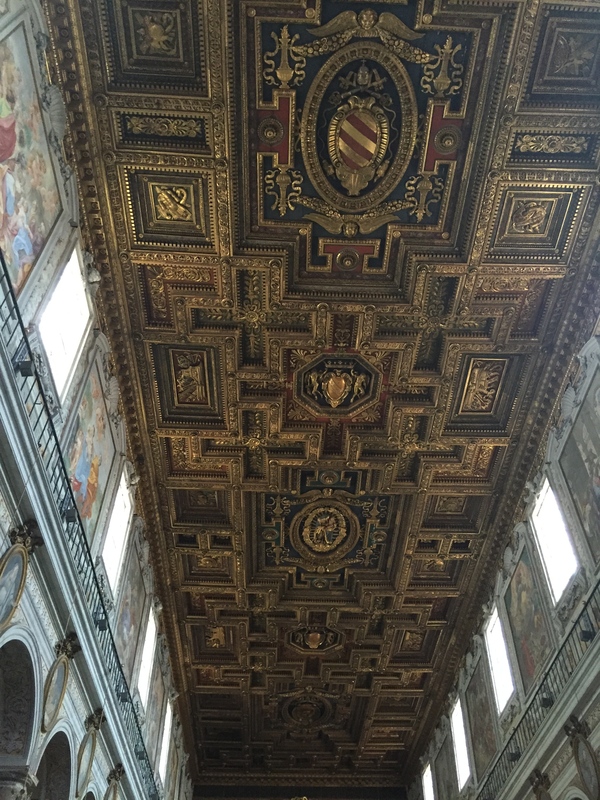 After admiring the view from the rooftop we stumbled upon Santa Maria in Ara coeli al Campidoglio and i have to say it was one of the most beautiful buildings i have ever been into; the walls were adorned in gold and wonderful patterns and there were crystal chandeliers hanging from the ceiling , it was breathtaking. 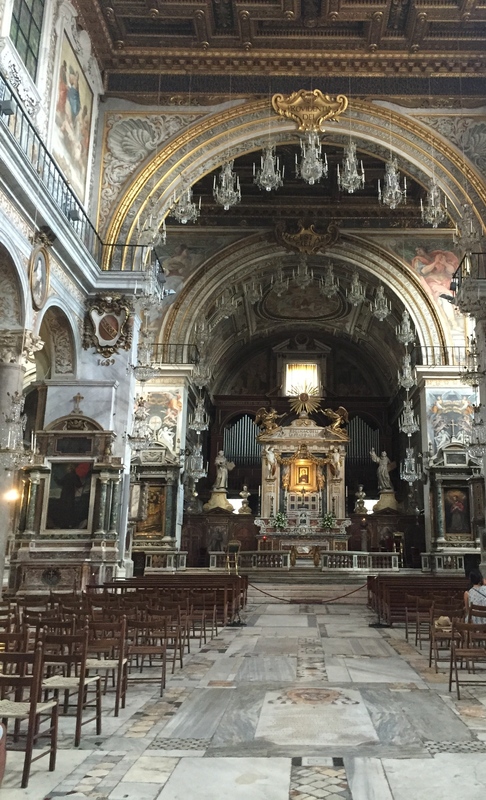 Housing some of the wondrous relics of Saint Helena, mother of Constantine The Great as well as the tomb of Saint Juniper one of the original followers of Saint Francis Of Assisi. Pope Honorius IV and Queen Catherine Of Bosnia are also buried inside the church. 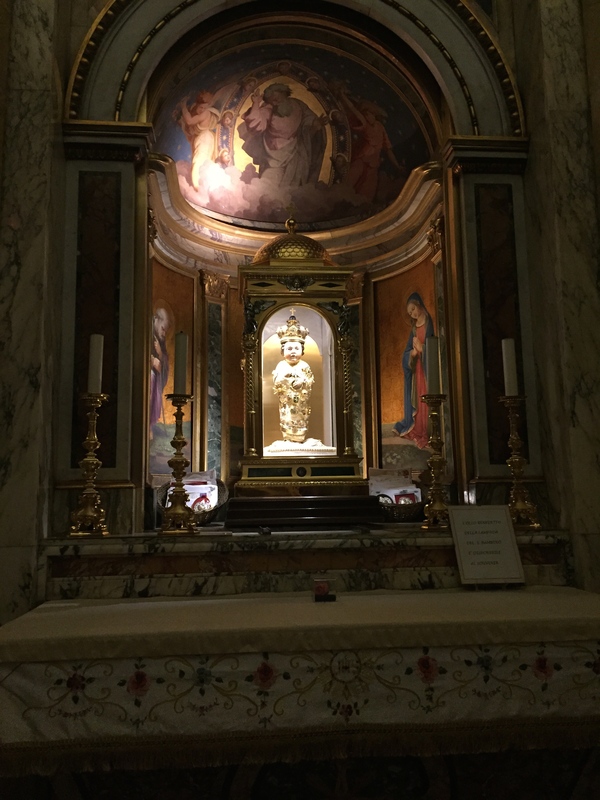 There was an open back room which we explored and in here we found almost a shrine dedicated to the devotion of the Holy Name of Jesus as it features a small statue of the baby dressed in a crown and golden robes. The whole church was just absolutley amazing to be stood in and defiantly worth a visit when you are in Rome ! 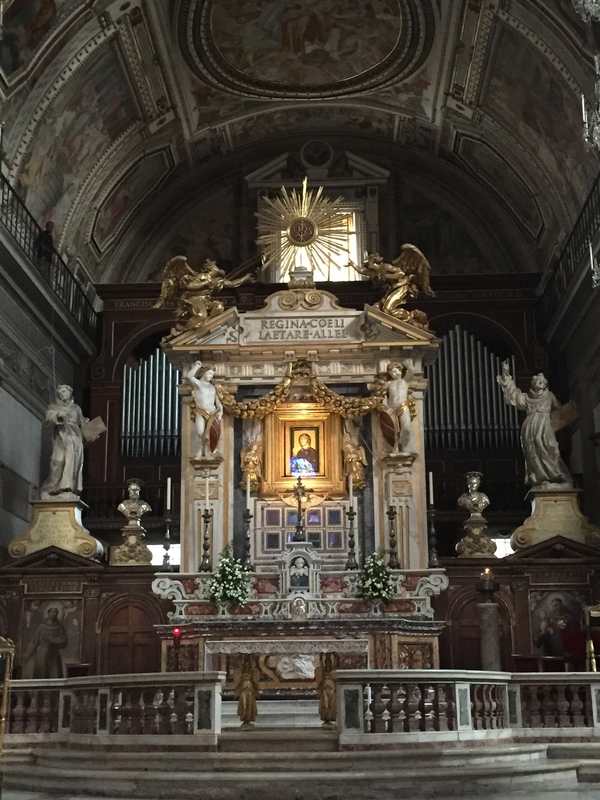 Does your cell work in Rome from the States? I on Verizon… I wonder???? Are your pics from your cell? Piazza del Campidoglio, Roma, Italy is so beautiful.